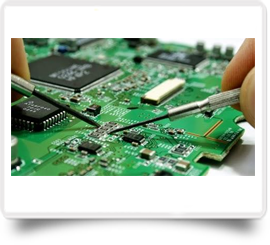 Laptop Store provide best and excellent BGA Chips repair and replacement service Chennai,Bangalore,Pune,Mumbai and all over India. We are experts in offering quality chip/component level repair and service for all brand motherboards. We’ve been repairing all things Laptop related Chip level for over decade. Whether you’re looking to repair, replace, or upgrade your graphic card, Laptop store would be more than happy to help. Graphic cards are extremely complex. Especially when you look at the high end ones. They often have their own processor (GPU), and build in RAM. It goes without saying that a lot can go wrong with graphic cards. Laptop display problems are also caused by a faulty screen or VGA chip on the motherboard, which can affect the display. 80% of the time its a fault with your onboard Graphics Card. These graphics chips are BGA form factor, Ball Grid Array chips cannot be resoldered using convention soldering irons. We have on equipments for BGA rework/Reflow units. Unlike other repair centres we have even perfected BGA reballing..
We have latest technology equipments and skilled technicians for ( Ball Grid Array) BGA chip level servicing, We are experts in BGA Rework, all brand laptop motherboard repair, replacing BGA( Ball Grid Array) CHIPS like ICH, GMCH and PCH. We also replace other ICs like GPU (Graphics processing unit), IO controller, MOSFET, SMD chips etc.